Learn how to work with sounds to help yourself, your friends and your family create better health and wellness. In this online class you'll learn tips and techniques to get started immediately. * 2 audio recordings of guided meditations with sounds to help you relax, feel calm and transform your life! Research shows that our voice is the most powerful sound healing instrument! If you can talk, you can tone. And if you can tone, you can heal...! The 5-part video series covers easy-to-learn techniques using your voice. These techniques draw on the best of ancient wisdom and modern science. They are tried and tested and can help reduce stress and relieve many health challenges. JOIN OUR CLASS BEFORE THIS OFFER CLOSES! PLEASE NOTE...THIS CLASS IS FREE! 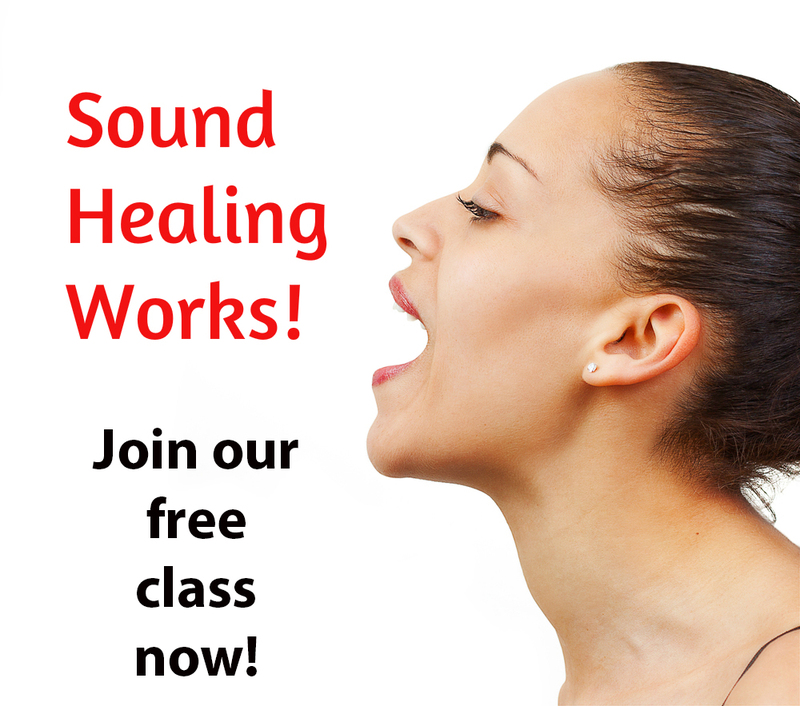 Join our FREE SOUND HEALING CLASS! Learn how you can help yourself and others with healing sounds!